The following rules are subject to change without notice as the demand for recyclables changes in the marketplace. They apply to the city’s curbside recycling program. Recycling is picked up Monday through Friday. If your neighborhood pickup falls on a holiday, your recycling will be picked up the following week. Recycling materials may also be taken to Republic Services, 2706 N. 2nd Street. Questions? 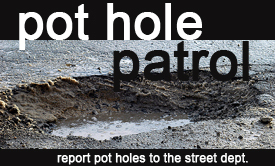 Call the Street Department at 812-885-2520. NEWSPRINT – Old newspapers are accepted, but they must be kept dry, as wet newsprint has no recycling value. MAGAZINES – All magazines, hardback books, paperback books or telephone books are accepted. JUNK MAIL OR OFFICE PAPER SUCH AS TYPING PAPER, COMPUTER PAPER OR ENVELOPES PLUS NEWSPAPER INSERTS ARE ACCEPTED. PLASTICS – All must be rinsed clean. We cannot accept plastic grocery bags or Styrofoam packing material. TIN, STEEL and ALUMINUM CANS – All are accepted. They must be clean of all food, but labels may remain. CARDBOARD – We accept corrugated cardboard and items made of paperboard, such as cereal boxes. Cellophane windows must be removed from boxes, as must any sort of liner. PIZZA BOXES AREN’T ACCEPTED due to contamination by sauce, grease, etc. 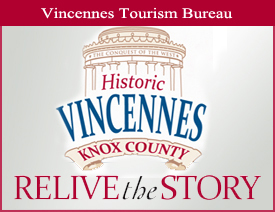 TOTES – All recyclables MUST be placed curbside in the green totes available at the Vincennes City Clerk-Treasurer’s Office, 201 Vigo – cost is $5 each. Recyclables placed in boxes, bags or loose will not be picked up. DEADLINE – All totes must be street side (never in alleys) by 7 a.m. on the appropriate day. CARDBOARD – Must fit into the green Recycling tote. It is not necessary to separate items. Plastics bottles, cans, cardboard, junk mail, magazines & newspaper will be picked up all together.